You are here: Home » Author "Elizabeth Shassere"
Evaluation forms and post-event surveys have frustratingly low response rates. Trying to get attenders to tell you what they thought about any aspect of your event can be time-consuming but yield very little information. Textocracy gives you a simple way for everyone in your audience to be able to provide real-time, live-time feedback on all aspects of your event. From what they think about the speaker, to whether the room is a comfortable temperature, to what they would like to see different next time, when you provide them with a Textocracy number you will get immediate comments while they are fresh in people’s minds. Unlike twitter and twitter walls, Textocracy lets people remain anonymous. They don’t have to have a smartphone, or worry about an internet connect or wi-fi. It’s instant- so you get a rich data feed of useful information. Much of the problem with current ways to feed back is that you have to rely on people taking the time after the fact to fill in a paper form, then you have to collate the information after the event. Textocracy provides you with a live dashboard that you can monitor easily throughout the event, and a data report of all comments that you can look at in more detail later. You can see an example of an actual dashboard here. For more information about how Textocracy can help you get more feedback simply and easily just contact Elizabeth at elizabeth[at]textocracy[dot]org. We believe that all citizens should have a say in the Sustainability and Transformation Plans. We also realise how difficult it can be for organisations to engage with people about this complex subject. Healthwatch chapters around the country are being commissioned by Clinical Commissioning Groups to conduct this important engagement locally. We can help, and we suggest this approach for hearing from more people, especially from those who are seldom heard. In order to get the most out of this exercise it is important to remember that many more people than you may realise do not access the internet, have a smartphone, or interact with social media. In fact, the latest Ofcom statistics show that in the UK, 29% of people don’t have a smartphone, and 34% of those don’t use their handset devices to access the internet. What’s more, 19% of adults don’t have either a landline or mobile internet connection. But, 93% of people have at least a dumb phone. The people who fall into these statistics will be the seldom heard voices you most need to hear from. When you provide an SMS text method for people to be able to have their say in any engagement process, you open up the voice of the response you will get. Using this free-to-the-user, anonymous comment recording method, you also overcome people’s reluctance to try and write or verbally express themselves if they lack confidence due to low literacy, English as a second language, or fear of being identifiable. These days most consultations and surveys are internet-based. You must go online to access a link, or questionnaire, or download an app. At best you may have a paper questionnaire requiring good English literacy, or get invited to an intimidating or inconvenient community meeting as an alternative chance to have your say. Many people find filling in surveys tedious or difficult, and those who struggle may not wish to acknowledge their need for assistance. Textocracy can be used in any situation, so even if you are running a focus group or community meeting, people attending can still immediately and easily text in what they are thinking in response to your prompts, without fear of embarrassment or identification. This anonymous way to have a voice that is usable by 93% of the population can appeal to those least likely to be reached through mainstream initiatives, less likely to interact with public sector professionals, or pay attention to mainstream public information campaigns. 1.Go to those places where people from demographics that are not often engaged may listen to their peer leaders. It is important to remember that many people do not have access to the internet or smartphones, and social media and any online surveys or websites are likely to miss the groups you are most interested in engaging. Providing those least likely to engage with conversations or surveys the option of texting in makes commenting particularly accessible for those who may usually be invisible due to smaller numbers, minorities with substantial communications barriers and/or hidden voices. Some good places to start include: housing associations, neighbourhood associations, Working Men’s Clubs, local religious groups, anglers’ or fishermen’s clubs, hairdressers associations, neighbourhood and community shops. Using messaging through these forums, especially using natural peer leaders, you can encourage commenting from people who would never normally engage. Showing the peer leaders how a Textocracy number works, showing them live comments appearing on the dashboard, can provide a powerful catalyst for getting their help in encouraging their groups to use the service. They are able to say, “The number works, they are listening, I’ve seen it myself!”. This means more comments and more data from a wider range of people. 2. Work with existing local and national activist groups that are vocal about the NHS- both pro and con. Approach them as potential partners, acknowledging that they have the ear of thousands of people who have strong views about the NHS. Let them know that you would love to hear from those people, too. Of course there could be strong negative views about changes to the NHS. It is important to hear those along with positive and constructive ones. All comments add to the data and information that you can get to feed back to your local NHS commissioners as part of the duty to consult. Perhaps most importantly, opening up this channel of communication will offer the opportunity to get accurate information out to these groups about the STPs and what they mean for the NHS. Let them know that you want to hear from their members. You can also ask them to get their members to get the people they know who don’t usually speak up or for some reason find it difficult to be heard. Friends, family members, people in their community can all take this new opportunity to have a voice. Their passion about the NHS attract engagement with their communities. You can do this easily with little burden on your Healthwatch teams. Give groups locally a Textocracy number to be able to speak openly and anonymously about their views of the NHS and their responses to the STPs. It will be free for them, and anyone with even the oldest simple mobile phone will be able to have their say. I believe these two methods will, with little burden on existing staff and stretched teams, increase many times over the number of comments Healthwatches will get in to their service about the important issue of the STPs. But perhaps more importantly, because the service uses SMS, anyone with the simplest mobile phone, with low literacy or on low income, with English as a second language, who is not tech savvy or who has limited access to the internet can easily and anonymously have their say. 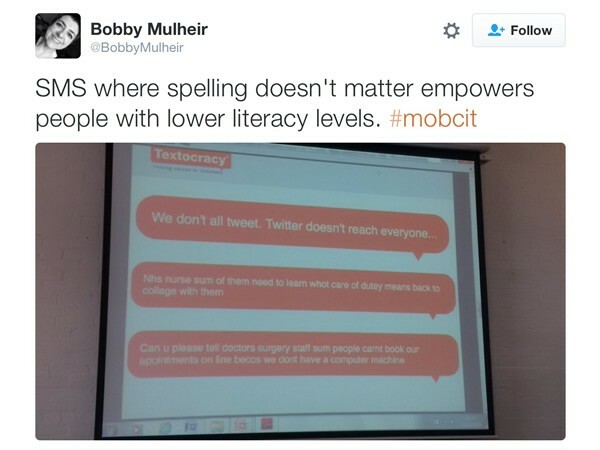 All Healthwatch chapters need to do is put out their unique Textocracy number through their existing communication channels, display it during focus groups or community meetings, and always provide it as one option as a way for anyone to have their say. For those Healthwatches who are particularly stretched for resources and staffing, using Textocracy for this purpose could prove a straightforward and effective way to get the conversation started locally with their constituents, with little burden on small teams. The launch of the Nokia 3310 has been in the news a lot this week. It’s the new revivalist phone put out by Nokia to provide a low-tech, battery-sipping simple phone to appeal to a range of users- those that haven’t embraced technology, those of us rethinking our relationship with data-munching algorithms and concepts of privacy, those on tight budgets, or trying to cure ourselves of the mobile screen hunch, and so on. For Textocracy, the accessibility of the simple mobile phone means something much bigger. In the modern world, the simple mobile phone can be a great leveller. Here in the UK, 93% of people have at least a dumb phone. But 29% don’t have a smartphone, and 34% of those don’t use their handset devices to access the internet. What’s more, 19% of adults don’t have either a landline or mobile internet connection. This means that around a quarter of the population have no or limited access to online communication with and about their local public and democratic services. These include essential health and social services, as well as government processes. Consulting with the public about all of these is a fundamental duty of all public sector and government agencies. For instance, these days most consultations and surveys are internet-based. You must go online to access a link, or questionnaire, or download an app. At best you may get sent an old-school postal questionnaire requiring good English literacy, or get invited to an intimidating or inconvenient Town Hall-type gathering as an alternative chance to have your say. Of course, the majority of the people who fall into the orange slices of the pie chart above (those “without”) are older, have low literacy, or are otherwise the poorest or least socioeconomically powerful groups. This also means that those people who are the most socio-economically disadvantaged are often the most voiceless, and our public services are designing this additional layer of disempowerment into their processes. But, there is an average of 107 text messages sent every month for each and every one of the 95.1 million mobile phone subscriptions in the UK. That is ten billion one hundred seventy-five million seven hundred thousand texts sent each year in the UK alone. I don’t even know how to write that out in numbers. 10,175,700,000? It’s a lot- a lot of people easily using SMS every day. When digital services and access are designed with SMS in mind, accessibility becomes near-universal. To say that 93% of your population has a free and simple way to be heard is a big step toward true equality in democracy. As taxpayers, as citizens, it should be everyone’s right to have the best chance at being able to input into and interact with those services we are paying for and that we rely on. But Nokia is getting something else right- near-universal accessibility means more demand for those phones. More people having access means more customers, more business opportunities. Whether you are a private company or a public sector organisation, you want the most people possible to be able to engage with you with as little effort on your part as possible. People being able to speak to you mean data and information that is invaluable for designing and delivering better products and services. In India and Africa, a substantial proportion of business transactions are done by SMS. Booking train tickets, keeping up with market prices for agricultural products, doing your banking, can all be done with a dumb phone. 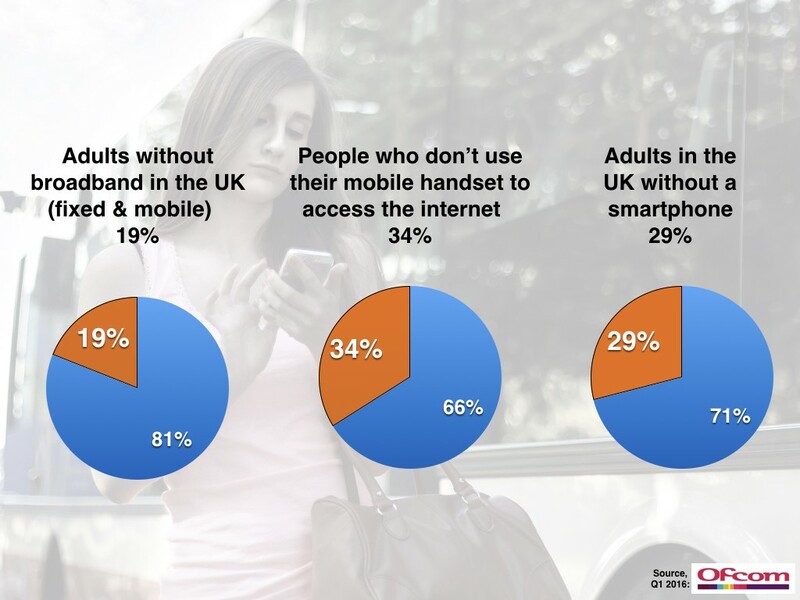 That’s a lot of people relying on and using your simple mobile phone. I worked for 20 years in public health. The basic foundation of good public health is a fair and equal society. Equality in opportunity, education, employment, in housing and security has a big impact on all aspects of our health and well-being. And we are now seeing the impact this inequality has on social and political stability unlike we have seen in decades. That is why I built Textocracy and why I feel so passionately about SMS being adopted by public sector agencies. At the moment, local government services in particular seem to be racing to invest big money into the most high tech and whizzy methods for appearing as though they are doing the most to engage with the public they are meant to serve. Tens of thousands of pounds are going into online consultation software, social media monitoring software, high tech gadgets for people to interact with to get meaningless averages in 1 to 5 scales or emoticons. And they are hearing from the same 2% of white, educated, 30–64 year olds who are always the most vocal in local issues. We chose to build a service using SMS, so anyone with a simple mobile phone, even the oldest Nokia (or the newest 3310), can text what they want, when they want, in their own words, anonymously, immediately, without getting in spam loop, without needing an internet connection or data package, and it is free for them within their standard mobile package. It doesn’t matter if your spelling and grammar is poor, if English is not your first language. Nine times out of ten you can be understood even with the most basic of efforts. 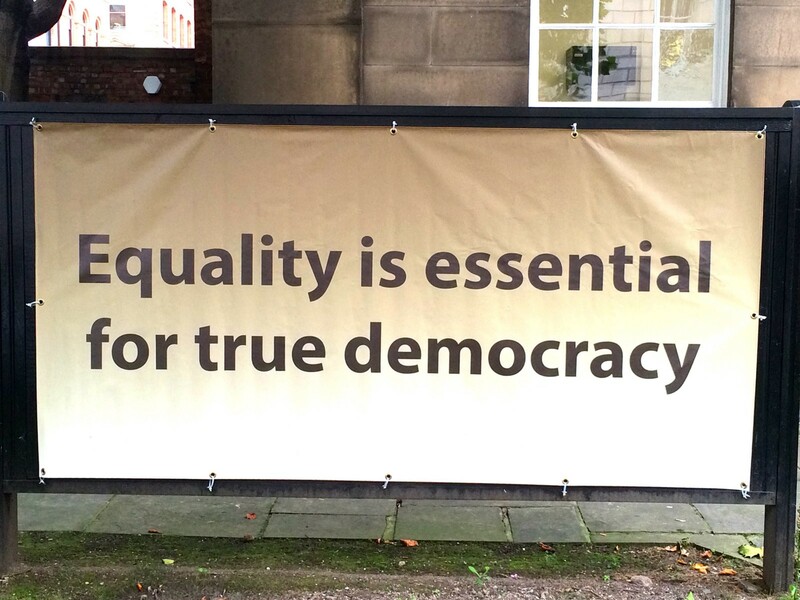 This for me is equality- equality of voice, of access, of being heard, of having a say in how tax money is spent on essential public services, how they are designed and delivered so that they are most appropriate for most people. So I’m really pleased to see the launch of the new (old) Nokia and what it stands for. SMS and the dumb phone are not dead. The opportunities for them as tech for good yet business-savvy tools are immense. I also believe they can be powerful ones for democracy and equality in our society. 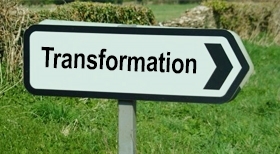 Sustainability and Transformation Plans (STPs) are in the news again today. Critics say they are an “agenda for cuts”. In fact, two-thirds include plans to close hospitals or downgrade services. Efficiency savings of £22 billion are being cited as one driver of the plans, as well as the need to improve services and access to them for patients. Regardless of what you may think of the STPs, there is no doubt they mean change to how many people access health and social care services in their local areas, and what services exist there. And change of course means the Public Law Duty to Consult. In times of tight budgets and with the additional work that comes with big changes, the pressure of consultation on public sector organisations can be daunting, and expensive. We at Textocracy have worked for decades in the NHS and local government, and we understand those pressures. But we also realise that in our own work in the past we often did not provide the best opportunity for all members of the public to have their say. Written consultations that require a good degree of literacy, online consultation that require internet access or a tech savvy user, intimidating focus groups or inconvenient Town Hall meetings exclude many people, and keep response rates around 2%. That’s why we have designed the simplest, most universally accessible method we could, that is labour-light and affordable for organisations. It reduces the burden on staff to conduct consultations, while giving the 99.1% of people in your area who own at least a simple mobile phone the opportunity to have their say. We can help you make plans for your consultation, as the STPs become definite proposals that need to go out for consultation. We will make it straightforward and efficient for you to give almost everyone in your local area the chance to easily have their say in your local plans. From our own experience in the NHS and local government, we are committed to making consultation easy and efficient for organisations, while giving everyone who uses those services to have their say. Contact us if you would like to hear more about how we can help you with your consultations on the STPs. Please ring Elizabeth on 07850117797, or email elizabeth[at]textocracy[dot]org. We have been working with our local Healthwatch to enable more people to be able to have their say in their local NHS services. Now with Sustainability and Transformation Plans coming online, and big changes to services expected in 2017, we want to support all local Healthwatch chapters and NHS services do their very best by local people and provide the easiest, simplest way to give 99.1% of the population a chance to have their say in local services, decision-making, and changes. We have 20 years experience in the NHS and understand the struggle to engage with patients and service users about their experiences using public sector services, especially NHS services. It can be labour intensive, and expensive. We have experienced the frustration of low response rates and hearing from the same demographics again and again. We created Textocracy to make it as labour-free and easy to give as many people as possible a free, anonymous, and accessible way to have their voice heard in any consultation. Textocracy provides your service with a unique phone number and URL address to your own data dashboard. You do not have to have anyone’s phone number or contact details. You publicise the phone number to your constituents, then Textocracy does all the rest. You can easily monitor your dashboard with a quick glance once or twice a day or even a week. Textocracy will provide you with summary reports of the analysed comments that have come in from the service users and public in your local area. You can run this service for a short time, or 24/7/365, and your local residents will know you are serious about being the advocate for them to have a voice and be heard in local NHS services. To hear more about this service or to discuss the ways that Textocracy can help you easily and simply meet your consultation duties, please ring Elizabeth on 07850117797. I look forward to helping you make this the best, most effective year yet for giving local people a voice in local services. 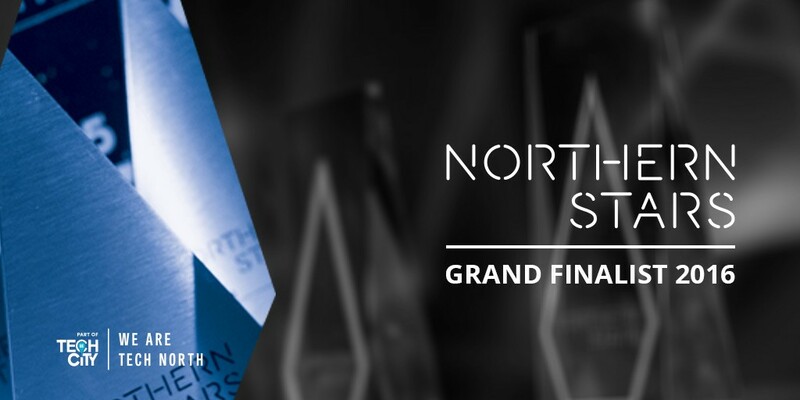 We made it to the Tech North Northern Stars final!! Thank you to all of our supporters. Good to see you in Manchester on 17 November for the big pitches. We are so proud to be providing the feedback service for MHabitat’s latest research project co-designing GP Digital Services in Scotland. Our service has been made available to anyone in Scotland with a simple mobile phone (no smartphone or internet needed!). Everyone will have a chance to have their say about what they think would make GP services better and easier to use, in their own words. It’s free and anonymous. If you would like to find out how Textocracy can help you hear more from your target audience, please contact us on hello@textocracy.org complete our webform at our home page. 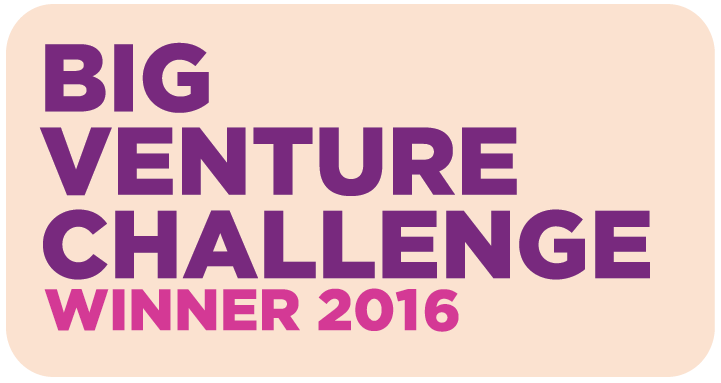 Textocracy is a winner of the Big Venture Challenge 2016! Textocracy is among 20 companies chosen to be a part of this year’s Big Venture Challenge, an accelerator for social enterprises addressing some of the country’s toughest problems. The programme is run by UnLtd, the Foundation of Social Entrepreneurs, and funded by the Big Lottery Fund England. Textocracy is an SMS-based service user and customer feedback tool that means that anyone with a simple mobile phone can have their say in public service design and delivery. Textocracy is free, anonymous, doesn’t require a login or password, and is completely open to the topic that people want to talk about.